Franco-Nevada reported that its Q3 numbers were slightly lower year-on-year, but the company is optimistic moving into the fourth and final quarter of this year. Precious metals powerhouse Franco-Nevada (TSX:FNV,NYSE:FNV) experienced a small blip during the third quarter when it posted slightly lower adjusted net income of US$54.6 million and revenue of US$170.6 million. The miner’s Q3 net income and revenue results were down compared to the US$55.3 million and US$171.5 million, respectively, that it garnered this time last year. During the quarter the company sold a total of 120,021 gold-equivalent ounces compared with the 123,787 ounces sold during Q3 2017. Precious metals gold-equivalent ounces also dipped during the most recent quarter, falling to 116,478 ounces from 118,456 year-on-year. The company noted that revenue, which is earned from 51 mining assets and 57 oil and gas assets, experienced a 9.2-percent decrease from its mining assets, but overall was relatively flat. Franco-Nevada has built up its oil and gas portfolio substantially over the past two years and doubled the revenue from its energy sector to US$26.2 million throughout the third quarter. On a similar positive note, the miner revealed that it once again increased its full-year guidance for oil and gas revenue to between US$75 and US$85 million, up from its August guidance of US$65 to US$75 million and its initial March guidance of US$50 to US$60 million. 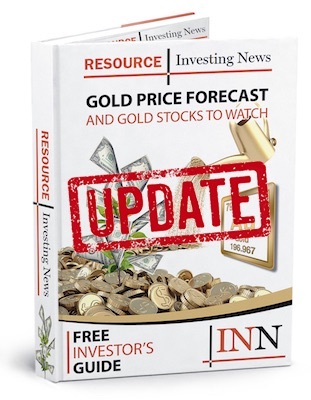 In October, Harquail spoke with the Investing News Network during the Denver Gold Forum, where he was realistic yet optimistic on the current state of gold. Harquail applied that same optimism to Franco-Nevada as it moves through the final quarter of 2018. “Revenues are expected to increase by more than 30 percent once Cobre Panama ramps-up towards full production,” he explained. As of 3:06 p.m. EST on Tuesday (November 6), Franco-Nevada was up 2.03 percent, trading at C$86 in Toronto and at US$65.51 in New York.